The roof over your head is arguably the most important attribute of your commercial building. The condition of your roof is directly related to its value and the satisfaction of your tenants. In order to protect your investment, call CRC Roofing when you are ready to re-roof. We will inspect your roof, assess its condition, and determine the best solution to help you meet your service life and longevity goals. 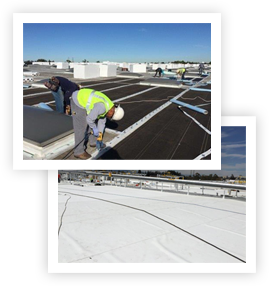 CRC Roofing will provide you with a competitive quotation for a turnkey solution to meet your needs. Our technicians will professionally install your re-roof system to ensure many more years of service.